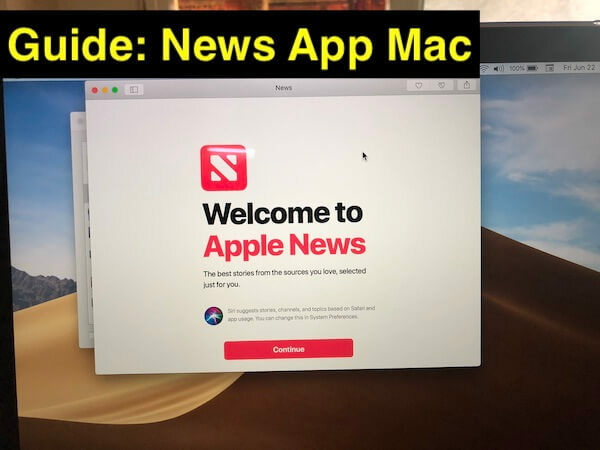 In past tutorial, we have seen how to get Apple news app on macOS Mojave outside US, UK, and Australia. That we can use on latest news headline as a notification lets on your Mac or iPhone, iPad quickly and easily. This year apple Release and add Apple News app with new iOS 12 Update and MacOS Mojave Update for Mac. 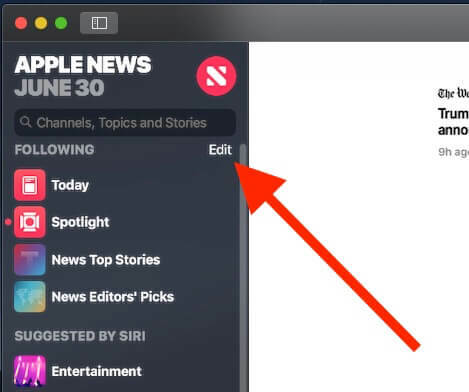 This tutorial also helps to fix the real-time issues or find the solution & Options on Apple News App Problems on Mac. Apple was cleared that New app is added in its inbuilt apps in every Apple devices like Mac, MacBook, iPad, and iPod. so that you can easily access from any device. News, Home, Voice Memos, and Stocks are introduced in the macOS Mojave this fall. Let’s take a quick look on News app of macOS Mojave. News app Missing on Mac or Won’t install outside US, Camera or Australia. 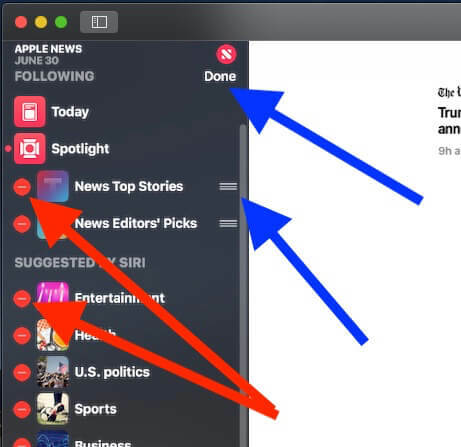 We can delete News app just like pages and numbers app on Mac. And re-download from apps store. You are outside USA, check this link [Use News app Outside America]. 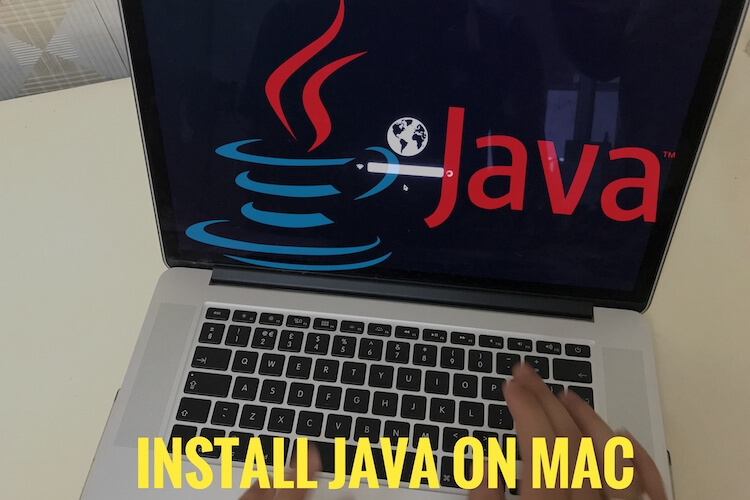 It is very simple to open any file and application in Mac and MacBook. Only you have to do is press “Command+Space Bar” and when Spotlight search bar appears type News app and hit enter. Find new News Channels and Topics using Smart search in News app. Scroll down left pane from top to bottom. 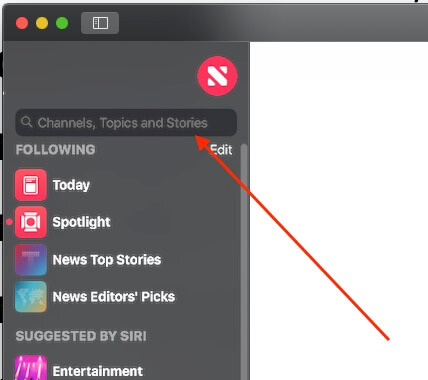 The News app in macOS Mojave is divided into two parts, Following and Suggested by Siri. The Following section includes the Top Stories and Todays News. When you click on the Like button the Siri suggestion automatically put that topic in the “Following” section. 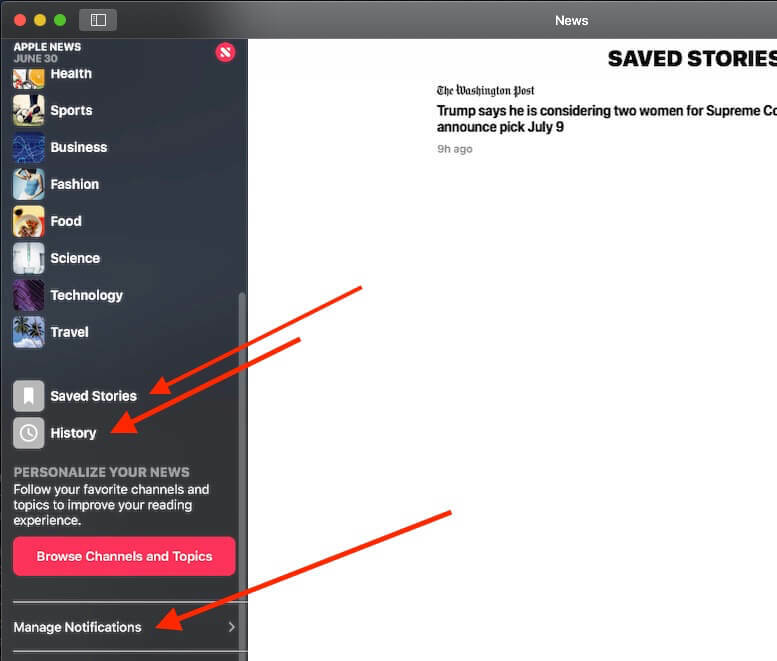 Moreover, when you dislike the topic, it will place that item into “Blocked Channels and Topics”, which is located on the bottom left of the News App in macOS Mojave. You can also save stories, follow the channel, Block Channel and Subscribe channel by simply clicking on “File menu” on the top of the window. File Menu > save Story (Command + S), This option will save the story on News app. When you save stories and if you want to open it then scroll down the left menu, and on the bottom, You will see “Saved Stories”. In case if you forget to save story then just open the History, and from there you can get the recently opened stories. Or Swipe left to remove the particular story from saved list. And “unsaved” it. Also, you can directly share or Love story in action. Clear save Story: When you open the History, on the top right corner there is one more option available that is “Clear”. To clear all history click on “Clear” in the History. To personalize what you want to see and what do you want to have in the Following section, click on “Browse Channels and Topic” then from that page “click on the Heart symbol” and hit “Done”. click on “Edit” and then you can Drag and Drop for rearrange the list or Add or Delete, manage until you are not satisfied by the sidebar. 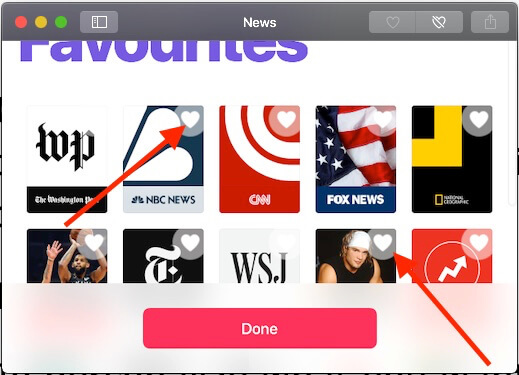 News app has Customise sidebar, Click on “Show or Hide custom Sidebar” at top of news app bar. 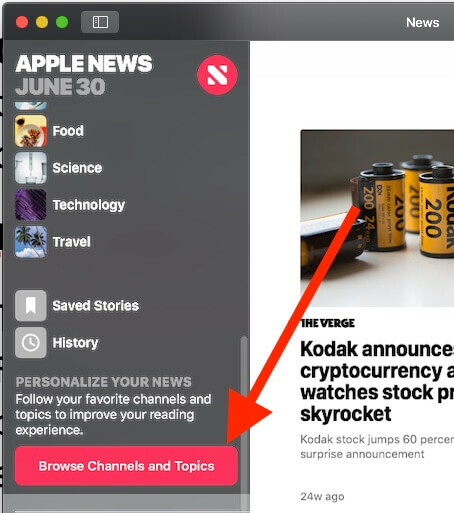 To directly read the “Top Stories” about the particular channel, scroll upwards, and from the Search panel, you can reach to particular Channels or Topics or Stories. When the Channel comes after searching, to add on the Following section just click on the Hearth symbol. 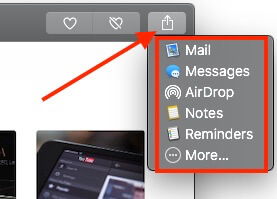 Meanwhile, you can also share stories via Mail, Messages, and AirDrop. Even if you want to add to Notes, Photos, Reading list, add people and Aperture are options available for you. NOTE: Whatever changes you made in the macOS Mojave it has no effect in your iOS app. For instance, if you have liked a channel or an article or saved some stories then you won’t find them in your iOS device. Share your Experience with Dark mode and Normal mode on Mac with MacOS Mojave. Also Like and Share Facebook, Twitter and Google+.